Apple to incorporate NFC into its next-generation iPhone and iPad? According to Richard Doherty, Director of consulting company Envisioneering Group, Apple will introduce Near Field Communication (NFC) technology into its next-generation iPhone and iPad, who cites sources who manufacture hardware for Apple. Apple is expected to announce a new iPad (which many are calling the iPad 2) within the next month, and a new iPhone handset to be released by the summer. Bloomberg suggests that Apple would be an advantage if it was to introduce the wireless technology, it would be able to reference customer information that was already on file, data that was inputted if a user had previously registered an Apple device or used an iTunes account to purchase a music track or smartphone application. NFC payments are starting to emerge as a viable alternative to credit cards and physical transactions. Google recently released the latest version of its Android operating system that supports NFC technology with Samsung becoming the first Android smartphone manufacturer to feature the technology with the release of its Nexus S handset. 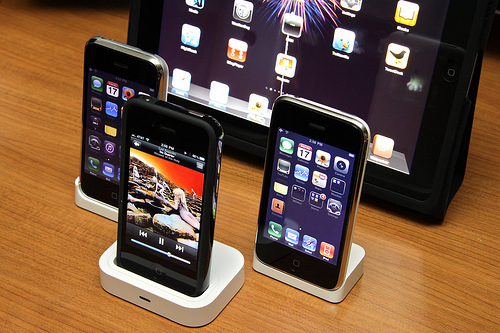 Apple’s dominance of the digital music market, smartphone and tablet markets could be its key to success, whilst its competitors like RIM and Google are actively pushing the technology, Apple already has the platform to support a new payment system. The company is even rumoured to be readying a payment terminal for businesses that can help drive adoption of the technology, helping sales of NFC-enabled iPhone and iPad devices. Read next: White Nexus S Spotted In The Wild, Vodafone Bound?